This project was started by a jeweler who had a brick-and-mortar store and saw an opportunity to expand his business, online. Up to this point, they had no online presence and this new adventure was a completely new brand so we were starting from scratch with the design, content and the development. 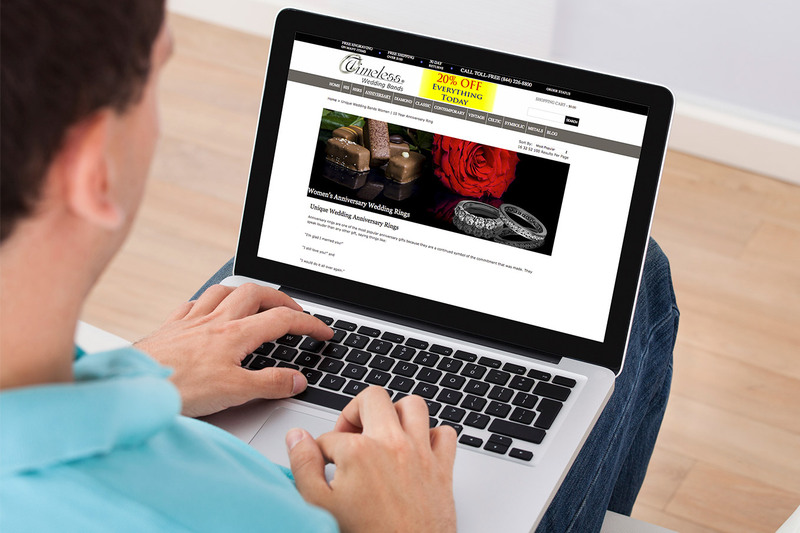 To begin with, Timeless Wedding Bands features completely custom-made rings for men and women and they make these rings with the highest of quality. That means that the designs are designed, in-house. And they’re available in a number of different metals. This high-end design work and attention to detail had to be translated into a design that supported this brand and the niche that Timeless is filling in the market. Once we were able to nail the design, we started looking at the architecture and functionality of the site. 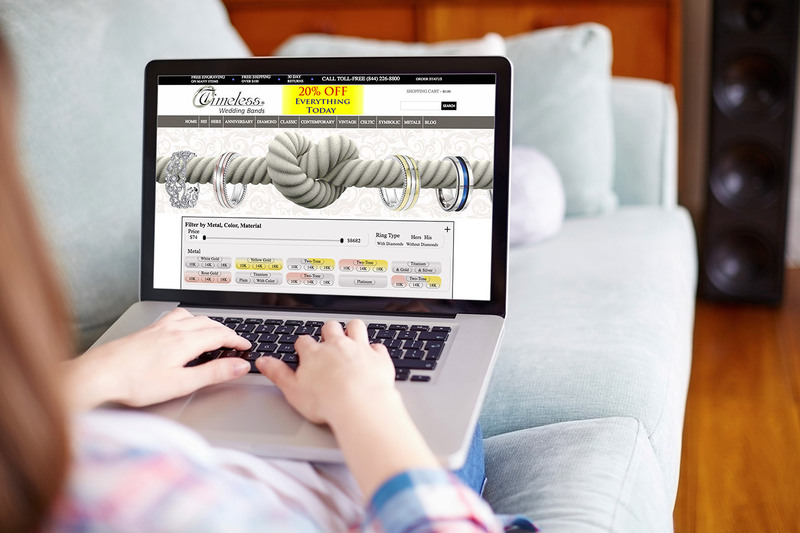 Because of all of the variables of the rings (size, style, and metals) we had to build a website that could literally compute thousands of possibilities and produce a price, delivery time and then facilitate an order process that would fit into Timeless Wedding Band’s internal order process. Oh, and did I mention that we built this entire system on top of a custom built content management system so that Timeless could manage every aspect of their new website, completely on their own without the need to know programming language (code). This was no small feat! But, we’re really happy to say that all of this customized programming ended up working flawlessly and the site is producing the growth that the owners of the business were hoping for!